I dunno about you, but I love jello. All kinds of jello, even the kind with little pieces of fruit in them. I think it is adorable when restaurants have little cubed jello pieces. But you know what else I love? Whipped cream. The other day I wanted both jello and whipped cream at the same time, and I thought, I might as well put them together!! What a great idea. My first pie didn't turn out very well as it wasn't really a pie... But, hey, I got to experiment and eat the failures :). We turned the ruined pie into some kind of frozen cream mess (not quite ice cream...) and had it that way, so it wasn't that bad. My second go around I decided to make this into an actual pie. 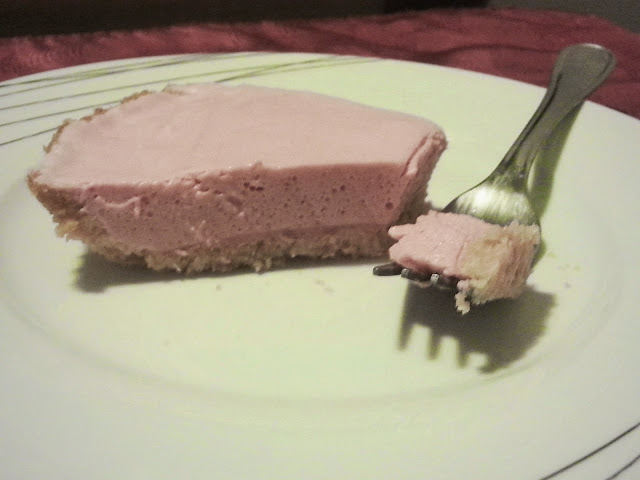 Thus I made a crust and voila. 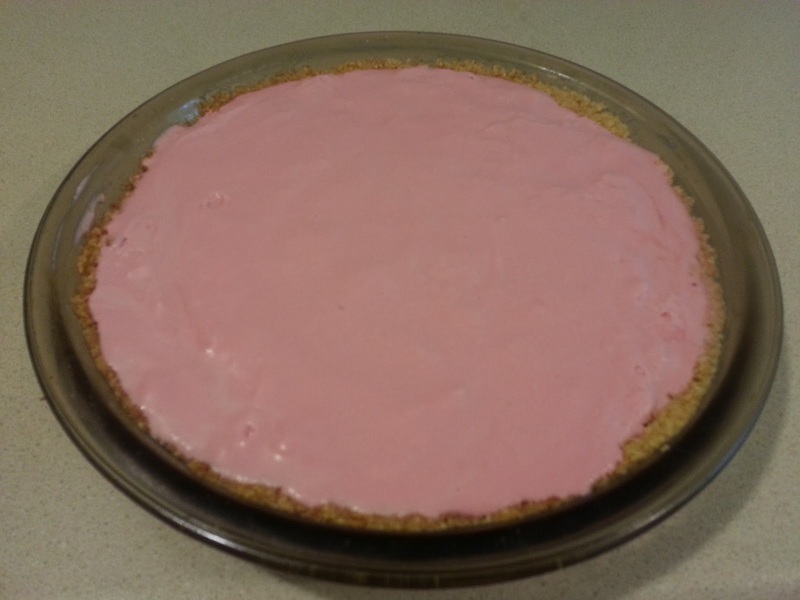 Whipped Jello PIE. Nutritional Information: 153 calories, 4g of carbs & 1g of fiber (3g net carbs), 14g of fat, 3g of protein. *Vanilla is optional. I would only use it with strawberry or raspberry flavours. The first thing we will work on is the crust. Preheat the oven to 350F. Mix all crust ingredients into a small bowl using a fork. 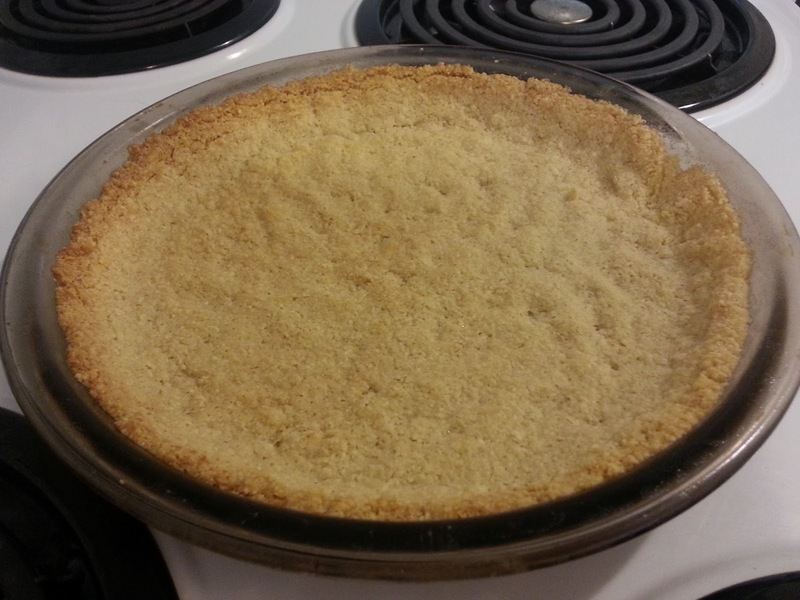 Grease your pie plate and press crust mix into the pie plate to form a crust. Pop the crust into the oven for 10-15 minutes or until the edges of the crust have browned. 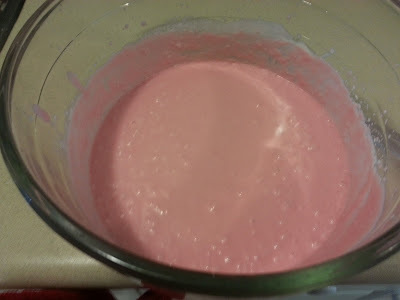 In the other small mixing bowl, combine jello mix and 1 cup of boiling water. Stir until the mix is completely dissolved, then add 1 cup of cold water while continuing to stir. Pop this into the fridge for now. In a large mixing bowl, beat 1 cup of heavy whipping cream until it is very stiff. This took me about 5 minutes. Your crust is probably done by now, so go ahead and pull it out of the oven. Let the crust stand for 5 minutes, then put it in the fridge. Refrigerate the whipped cream, jello, and crust for another 20 minutes. 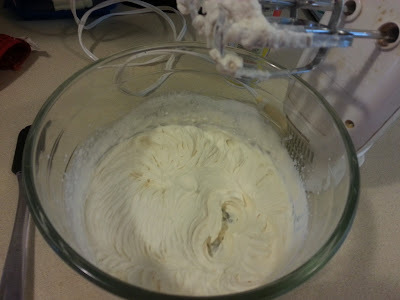 Gradually add the jello mix to the whipped cream while continuing to beat the cream. Also add vanilla now if you're using it. Once everything is incorporated and looks like you emptied a tub of melted strawberry ice cream into a bowl you can stop mixing. Pour the creamy mixture into the pie crust. Refrigerate for at least 2 hours (the longer the better). Enjoy!